Inspired by Thor Heyerdahl's legendary expedition across the Pacific, the KonTiki collection is ruggedly designed to capture the spirit of adventure. This iconic automatic Super KonTiki model encompasses an oversized 45mm case and super luminous dial markers. 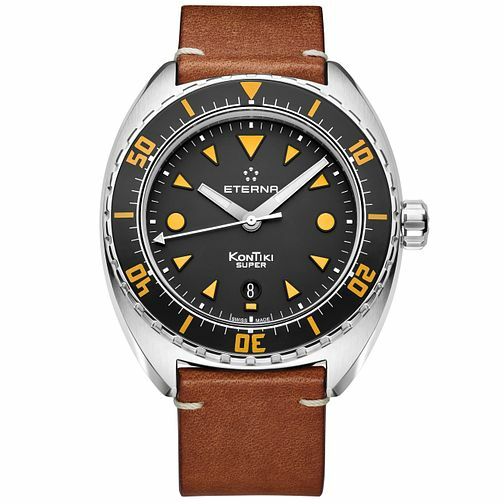 The watch is 200m water resistant, and is supplied on a calf leather strap with pin buckle.